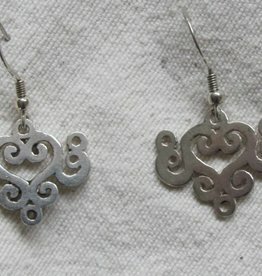 Silver earrings are an item that most of us women find difficult to resist. We have something for every pocket and taste. They are all hand made in Sitapur, Jaipur with loving care in extremely good working conditions. We use hand cut stones that are in-house cut and polished in the traditional way and strive not to use the mass production stones coming from China. A stone in our eyes really needs to be evaluated and cut by a mastercraftsman who knows instinctivly how to cut the stone to enhance its' intrinsic qualities, otherwise it will not reflect the light catured within it. 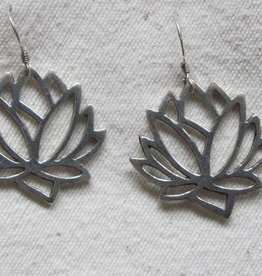 Lotus flower handmade silver earrings with a fish hook and are made artisinely by a master silversmith in a workshop with good working conditions in Jaipur. 2.50cm x 3cm wide. Hand made silver earring have an ear hook and are made by a master silversmith in a workshop with good working conditions in Jaipur 2.50cm long x 1.75cm wide. Keltic cross earring hand made from fine silver by a master silversmith in a workshop with good working conditions in Jaipur, India. 3cm x 1,50cm excluding the earhook. 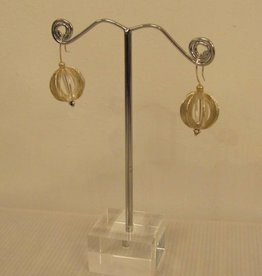 Big filigrain ball earring with an integraal ear ring, hand made from fine silver by a master silversmith in a workshop with good working conditions in Jaipur, India. 4cm long including the integrale ear ring. 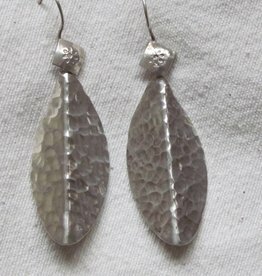 Leaf shaped long, handmade silver earrings have an integrated hook and are made by a master silversmith in a workshop with good working conditions in Jaipur. Hammerd little square earrings from hand made silver have an integrated hook and are made by a master silversmith in a workshop with good working conditions in Jaipur. 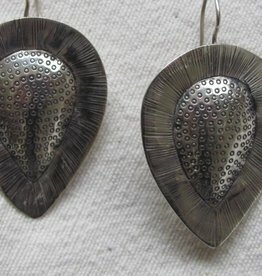 They look like African shields, hand made silver earring have an integrated hook and are made by a master silversmith in a workshop with good working conditions in Jaipur. 4cm x 2.50cm excluding the integrated hook. Long silver earring with organic form. Made from fijn silver by a master craftsman in a workshop with good working conditions in Jaipur India. The earhook has an integrated little square on it. 4.50cm x 2cm. 1.5 x 3.25 cm (including the hook). 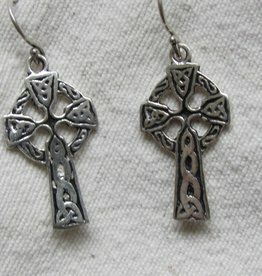 Nice silver earring made of 925 sterling silver with an integral hook. The silver bal is modern with a fine brushed finnish. Made by a master silversmith in Jaipur India. $cm disk without the hook. Gold on silver earring . easy to wear and really pretty and feminine, mat finish to the gold layer. Dormeuse style ear hooks. 1 cm excluding the ear hook. Gold on silver earring . easy to wear and really pretty and feminine, mat finish to the gold layer. Dormeuse style ear hooks. 1,25 cm excluding earhook. Gold on silver earring . easy to wear and really pretty and feminine, mat finish to the gold layer. Dormeuse style ear hooks. 1 cm excluding earhook. Gold on silver earring . easy to wear and really pretty and feminine, mat finish to the gold layer. Dormeuse style ear hooks. 1,5 cm excluding earhook. Silver earring 2,50 cm long excluding the ear hook. Really beautiful cut work silver tear drops.